It is very difficult for ex-offenders and felons to get considered for jobs so to get a chance to interview is a great opportunity. A lot of hard work went in to getting an interview. Ok, you have an interview. This is the day when all of the hard work pays off. For many people, interviews are stressful. They don't have to be. The interview is it time to show just how professional you are and that you want the right person for the job you have applied for,so we're going to take some steps to make sure we make the most of this opportunity. Preparation for the interview will begin the day before. The first a most important preparation you can make is having proper interview clothes. I tell my students that interviews are business meetings. Does your clothes make you look like a businessperson ready to make a deal. It should. Be sure that your clothes are neat, clean and in good condition. Don’t forget the shoes. They should be clean and shined. Take a few minutes to look at the article at the link below. Plan all of the steps leading up to the time the interview begins. the interview location the day before to see exactly how long it takes to get there. There is no excuse for being late to an interview. Know the name of the person interviewing you so that you can ask for him or her by name when you arrive. Call the company and get the correct spelling and pronunciation. Know and understand the position you are applying for. Get as much information as you can. Call or visit the company. Get a written description of the job if possible. Have all of your documentation ready. Have your Social Security card, birth certificate, driver’s license and any diplomas, certifications, awards or letters of recommendation. Have a typed list of your references in case the interviewer asks for them..Good references help ex-offenders and felons get jobs. Get a professional looking portfolio with a notepad to carry your documents and resume copies and to keep them neat. Always carry two pens just in case one fails to work. Have at least 5 copies of your resume. You may be interviewed by more than one person. Have a copy of your personal data sheet. That is a sheet that has all of the information you will need to complete an applications. Don't try to do it from memory. Gather all the information and have it on a sheet of paper. You may have to complete an application. Have a list of relevant questions to ask the interviewer. Type them up so they are easy to read. Study your resume personal data sheet. 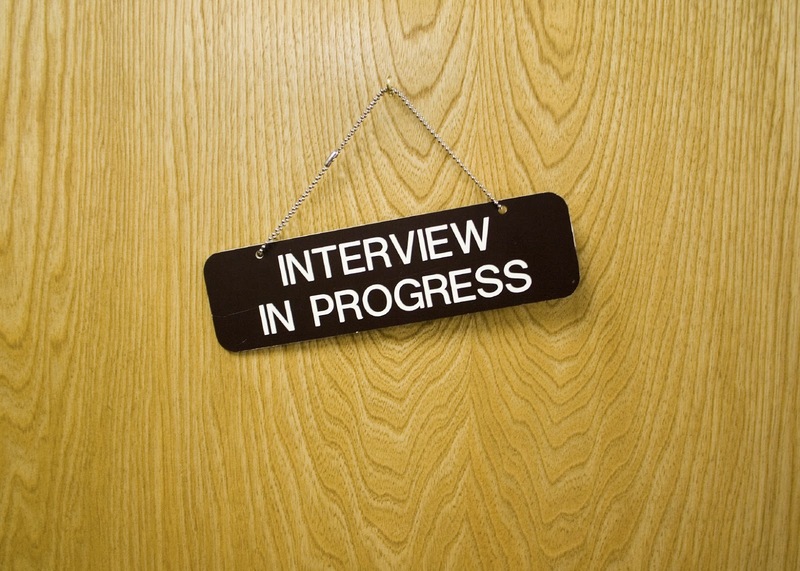 Many of your interview questions will be related to either the resume or the application. Know your skills. Ex-offenders and felons looking for jobs have a very difficult time getting interviews, When an opportunity does come up, they must make the most it. Follow the tips above and make the most of every opportunity you get. I have a job interview next week and I am very nervous about it. I have an interview for a job as a clerk in a title office. I have done this kind of work before but not since my legal troubles. I was involved with a guy who was selling drugs. There were some in my apartment when he was arrested. Because the lease was in my name, I was charged with possession. I wasn't selling but I was charged anyway. I know this will come up on a background check. Do you think I have a chance to get this job? You don't know how often I hear stories like this. Too many people get dragged down by people around them and often there are lasting effects. I'm not going into a lecture about choosing better friends, but you knew he was selling, and there are certain risks involved associating with people and their criminal activities. somewhere in the interview, the question is going to come up. You can handle it in three steps. Own your Mistake - Never blame anyone else for your mistake. Acknowledge your role in your troubles. You could start by saying something like this, "I'm glad you asked me that because I want you to feel comfortable about hiring me. I’ll be honest with you because you have the right to know. I have been in trouble but it didn’t have anything to do with any of my previous employers. I was involved with someone who was into some bad things and I was arrested along with him. I am proud to say that I have put that all behind me. Focus on the Positive - Shift the conversation away from your problem and on to the things you have done to improve yourself and how you now only associate with people who are doing positive things. Talk about what you have learned through this bad experience. Talk about your Goals - Without being specific, tell the interviewer that you have goals and this job will help you put your mistake behind you. Sell your Skills - Talk about your skills, training, education and how they make you an ideal candidate for the job.